I get these beautiful eggs from a neighbor, who handily dates them. 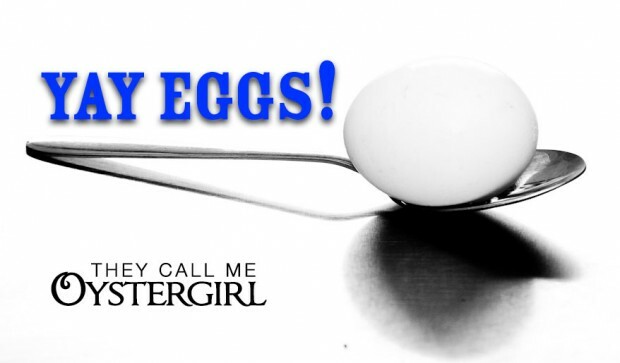 In this first part of a three-part series on the (incr)edible egg, I will share with you other variations I particularly like. 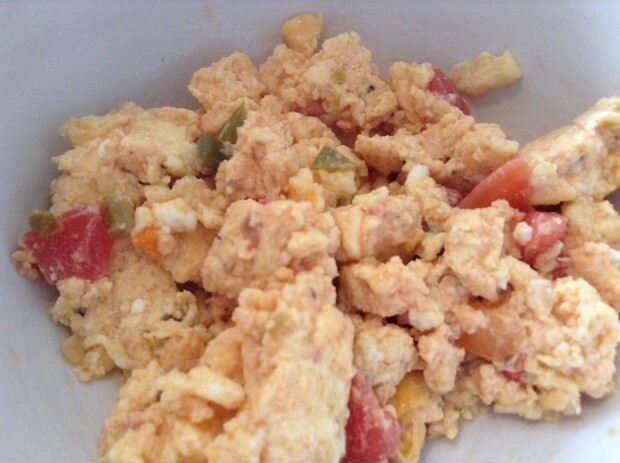 what my friend Chris calls an “eggy breakfast”—eggs scrambled with yesterday’s leftovers. What’s great about eggs—in addition to their yumminess and affordability—is that they are so versatile. This list could go on and on. What are some of you favorites? Great summary! I love your new header and look! I particularly love eggs with kimchee and eggs with salsa! My mom has also been making kimchee, funnily enough. My favorite way to make eggs and salsa is to saute onions, garlic and peppers in butter before adding eggs and cheese (preferably pepper jack) to be scrambled together. When they’re done I eat them drenched in fresh salsa. YUM!!! My mouth is watering as I think of it. Chenoa. YUM is right. That sounds ridiculously good. My friend Kevin added a comment on this post – http://unchainedsunday.com/perfect-scrambled-eggs/ – about his variations, which included adding dijon mustard to a scramble, which I’ve been meaning to try. The kimchee and salsa scrambles are Dez’s favorites, too! Other than just plain-good-ole-fried (in butter or bacon fat), which is easier for him to eat on his own.